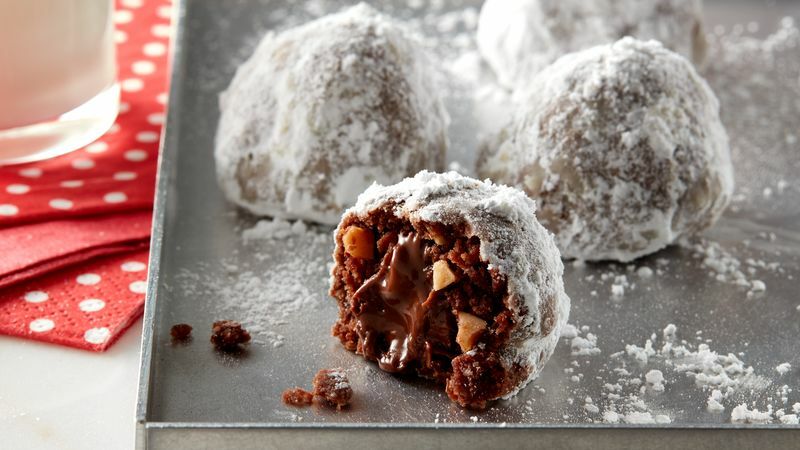 Shape dough into sixty 3/4-inch balls; wrap each around 1 milk chocolate candy. Place 2 inches apart on ungreased baking sheet. Bake 8 to 10 minutes or until set. Immediately remove from baking sheet. Cool slightly, about 5 minutes. Roll cookies in icing sugar. Cool completely, about 15 minutes. Re-roll cookies in icing sugar. Store tightly covered. Success Store different flavours and varieties of cookies in separate containers.